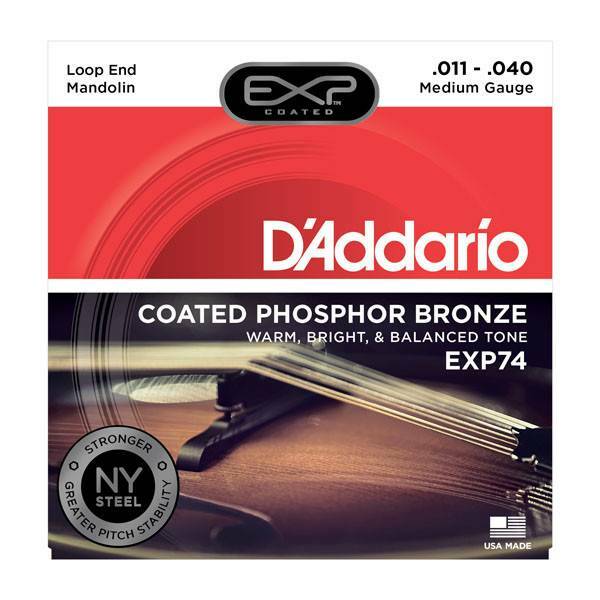 EXP74, D'Addario's best selling coated mandolin set, is the EXP coated version of the standard EJ74 set played by the likes of David Grisman and Ricky Skaggs. EXP74, D'Addario's best selling coated mandolin set, is the EXP coated version of the standard EJ74 set played by the likes of David Grisman and Ricky Skaggs. Warm and bright phosphor bronze tone with the optimal blend of tight playing tension and strong projection. Loopend construction for universal fit.